This delectable pear tart sings with fresh pear flavor! 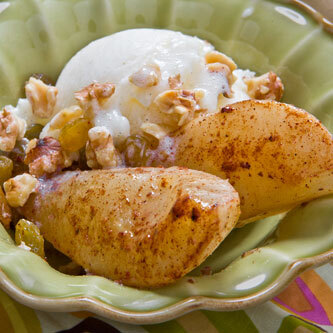 Roasted and ground hazelnuts add a toasty crunch that pairs well with the fresh pear. Preheat oven to 350 degrees. For filling, cream together almond paste and sugar. Add butter and mix until smooth. Add eggs, mixing well after each addition. Add ground hazelnuts and vanilla and mix. Brush melted chocolate on bottom of prepared tart shell and pour in filling. Bake for 35 to 40 minutes, until filling is lightly browned and set in the center. Cool tart on rack. When the tart is cooled, toss pear slices gently with lemon juice to keep them from turning brown. 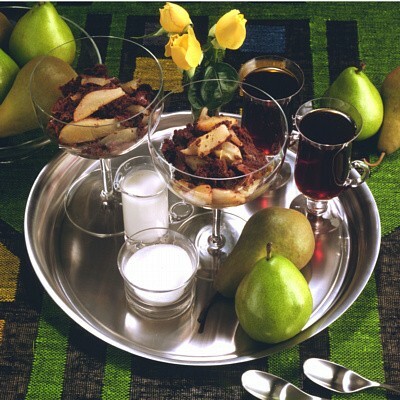 Arrange pear slices in concentric circles. Brush completed tart with strained apricot preserves.